They are born in pairs – with the same horoscope, same genetic code and the same potential. From that moment on they are destined to go through life with the conflict of their shared identity. 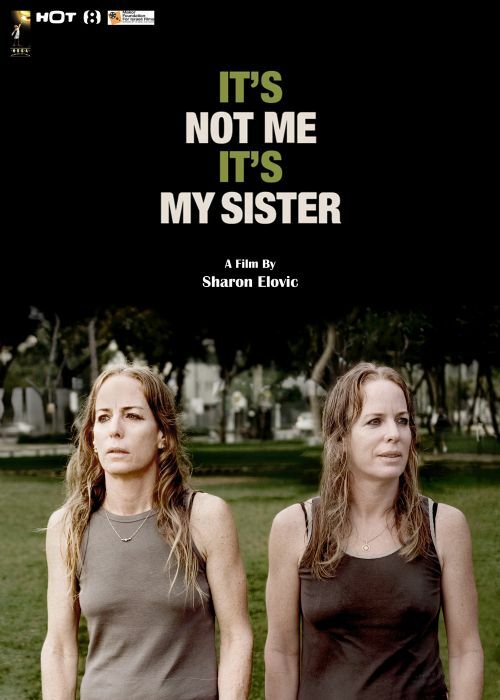 The film tells the story of three sets of twins and their ways of dealing with this miracle (or error?) of nature. The first story is my sister’s and mine. We are now 45 years old. The pendulum of our relationship, swinging between the extremes of suffocating closeness and total estrangement, is presently hovering at some indefinable point between the two. The making of my film and the progress of her fifth pregnancy compel us to renew our intimacy, an intimacy sown with perils that only the two of us know. Haya and Edna, 53, have lived together since the day they were born. Neither of them has ever lived with a man. Three years ago Edna gave birth to twins, whom they are raising together as two mothers. Sasha and Rafi are 69. Sasha is the “big brother”. He claims that the twin who comes into the world first is always stronger, and it is his duty to take care of his weaker twin. As if to realize this prophecy, Rafi becomes ill with Parkinson’s disease. His deteriorating condition forces the brothers to cope with questions of inequality, guilt and the impending separation. The film deals with questions that each of us eventually faces – questions of identity, personal relations, intimacy versus space, self-determination and choices.